We are proud to announce that Christian Gutierrez has been chosen to receive the Tennessee Woman’s Missionary CMJC Creely Wilson Scholarship for the 2016-2017 academic year. 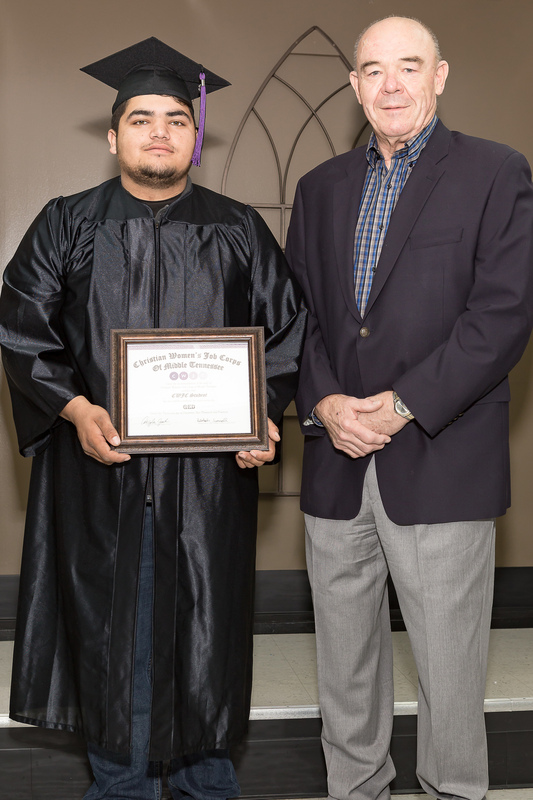 With this $1,000 scholarship, Christian plans to attend Nashville Auto-Diesel College. Tennessee WMU awards three scholarships to men who are participants and/or graduates of a Tennessee Christian Men’s Job Corps program. Begin Anew is nationally affiliated with CWJC/CMJC, allowing our students to be eligible for the scholarship. The scholarship is named in honor of Creely Wilson, who served as the first volunteer CWJC statewide coordinator for Tennessee WMU. Creely also founded the first CWJC site in Tennessee, which is now Begin Anew, and leads a bible study each week at Begin Anew’s Williamson site. This is the first time the Creely Wilson Scholarship has ever been given since it was created in 2006. Congratulations Christian! Everyone at Begin Anew is very proud of you!